It is a good few months since I last talked about this deal so – as it is still running until 31st December – I thought I would look at it again today for the benefit of new readers. 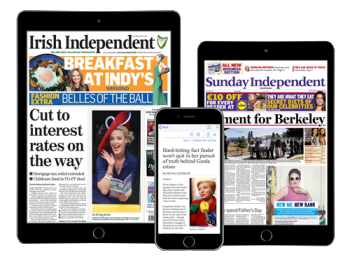 AerClub, the new Aer Lingus Avios-based frequent flyer scheme, and Ireland’s Irish Independent / Sunday Independent newspapers, have a very generous deal for taking out a digital subscription to the newspapers. You will earn 18,000 Avios points when you take out a DIGITAL subscription to the Irish Independent or Sunday Independent newspapers for €160 (£142). This works out at 0.78p per Avios if you use a credit card with 0% FX fees. If you use a card with a 3% FX fee the cost rises to 0.80p per Avios. You can sign up via this website here. You will need an Avios account to do this. If your old Avios Travel Rewards Programme account has now been closed you will need to open a new one – the most relevant route for a UK resident is via Flybe via this link. But there is a snag …. In theory, the 18,000 Avios deal is now restricted to residents of the Republic of Ireland. This may be due to the fact that Head for Points readers ordered a few hundred subscriptions last time this offer ran, with little intention of renewing them beyond the (loss making, almost certainly) first year. If you live outside the ROI, you will only receive 9,000 Avios. That makes it a poor deal unless you actually want the digital newspapers, although still cheaper than buying 9,000 Avios from British Airways! I have absolutely no idea how the Irish Independent intends to police this, however. there is a compulsory field on the sign-up form for a mobile phone number – do they intend to ring up anyone who doesn’t give an Irish number? You can’t easily get around the 2nd point because the newspaper only takes Visa and Mastercard, who DO require matching country validation to approve your payment. Amex does not, so if they had taken Amex – which they don’t – you could have set the country to Ireland and it would still have gone through. So, how can you get around this? Assuming that they are basing this entirely on the home country of your credit card (you are not asked for your home address at any point apart from on the payment form) you may need to ask a friend or relative in Ireland if they can pay on your behalf. You would be responsible for cancelling the subscription before your next annual payment was taken, however. Or perhaps they intend to ring everyone who applies, on the Irish mobile number they give, to check that they really live there? We don’t know. It is worth noting that nowhere on the application form are you asked if you live in Ireland or not. The only way they can decide whether you get 9,000 Avios (as a non-ROI resident) or 18,000 Avios (as an ROI resident) would be from the address you use for the card payment or your mobile number. And if you do live in Ireland …. If you live in Ireland, you may find the physical bundles to be more valuable. These allow you to order a physical home-delivered copy of the Irish Independent and Sunday Independent every day for six months for €349 and earn 30,000 Avios on top. 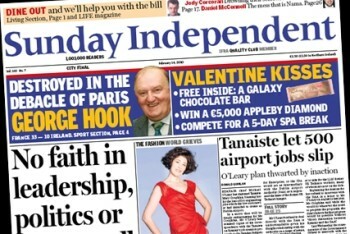 Perhaps you have a friend or relative in Ireland who would like some free newspapers? You will get the 30,000 Avios for €349 for this deal irrespective of where you live although the delivery address must be in Ireland. Note that you will need to cancel your subscription before it expires otherwise it will roll over. Is 0.78p per Avios a good deal? Yes. It is difficult to lose money redeeming Avios for flights on this basis. This is my general ‘what is an Avios point worth?’ article. You’ll see that you should be getting well over 1p per point in most redemption scenarios. Of course, if you are would actually read the digital newspapers then it is a very good deal indeed! How do you get your Avios? The process is explained on this page of avios.com, which has not been updated to reflect the new digital package. You will be sent a voucher code by email – a reader in the comments section was told it would arrive within 21 days. You head to the Avios voucher redemption website here, select which programme you want to drop the Avios into and then input your code. Easy! The offer is currently scheduled to close on 31st December. The sign-up page is here. The assumption in the article is they decide on if you live in ROI when you take out the subscription. They might be handing out a voucher which redeems for 18k or 9k Avios depending on where you live. Requires the help of Avios.com — who should have your correct address — to make that work of course. Some poorly thought out suggestions in this article. (4)A representation may be express or implied. (5)For the purposes of this section a representation may be regarded as made if it (or anything implying it) is submitted in any form to any system or device designed to receive, convey or respond to communications (with or without human intervention). Copy and paste eh. You have too much time on your hands. Better spent doing some charity work. He’s not wrong he’s not wrong though. The T&C’s are very clear. You’re not eligible if you’re not a resident of the ROI therefore applying if you’re not is fraud (if you expect the avios). Committing fraud with the expectation of financial gain is serious. You’re extremely unlikely to be caught but this is a step beyond what I’m willing to do in the points game. As memesweeper points out avios.com will have your correct address so this isn’t even that hard to police.